PPAHS developed a standard set of questions and provided these standard questions to manufacturers of patient monitoring equipment of which PPAHS is aware. Answers from manufacturers can be found by going to the Patient Monitoring Guide. This Patient Monitoring Guide also provides a forum for manufacturers, clinicians and the public to voice their opinions and experiences about these manufacturers’ patient monitoring solutions. 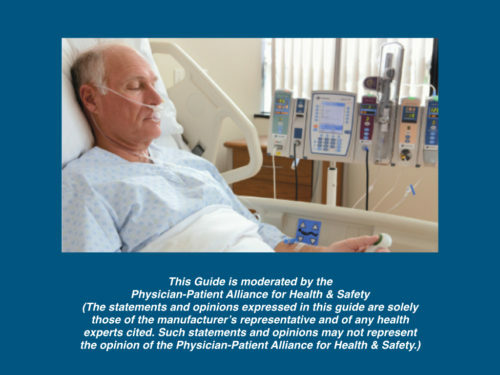 If you are a manufacturer or know of a manufacturer that has not been included in the Patient Monitoring Guide, please let us know by providing a comment below or by sending us a message, by clicking here. PPAHS believes that all patients receiving opioids in healthcare facilities should be continuously electronically monitored with pulse oximetry for oxygenation and with capnography for adequacy of ventilation. For the PPAHS position statement on Continuous Electronic Monitoring, please click here. To view the Patient Monitoring Guide, please click here.